Floral laptop decal with beautiful, colourful flowers and plants. 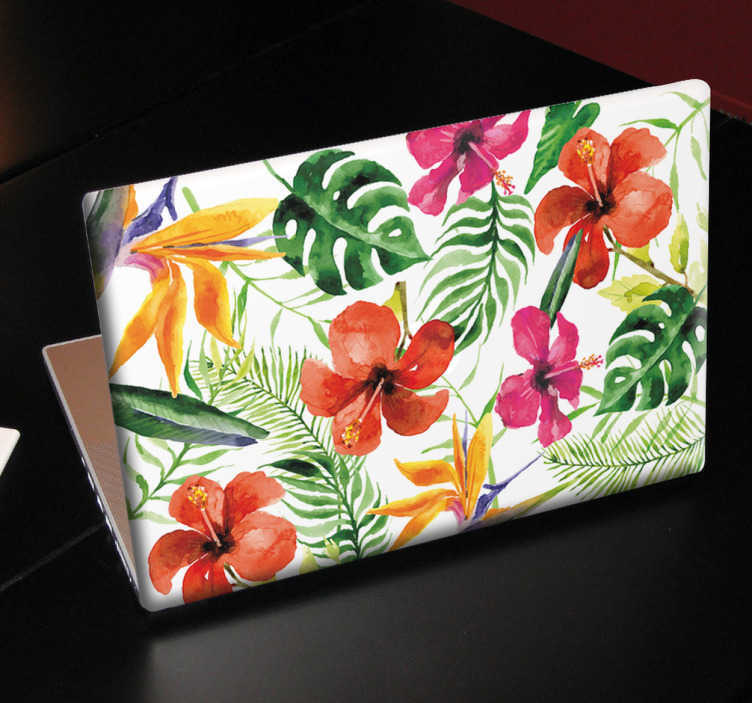 Decorate your laptop with this floral design. Do you want to add some colour to your laptop without decorating it with a heavy case? How about a flower laptop sticker? Just choose a size that fits your laptop and you will be able to apply the design with quickness and ease.